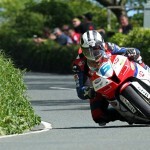 The Michael Dunlop Show continues with the 24-year-old Northern Irish racer winning his fourth race of the 2013 Isle of Man TT. 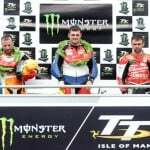 His latest triumph was a victory in the second Monster Energy Supersport race, making Dunlop just the third rider to ever record four wins in a single TT week. Like his win in the Royal London 360 Superstock race, Dunlop ran most of the race in second place before setting a blazing final lap time for a come-from-behind win. HM Plant Honda rider Bruce Anstey took the early lead, completing the opening lap with a time of 17:53.945, about 3.5 seconds faster than Dunlop on his MD Racing Honda. 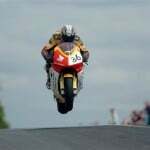 Older brother William Dunlop was third on the first lap on a Yamaha while Honda’s John McGuinness and Suzuki‘s Guy Martin in the top five. 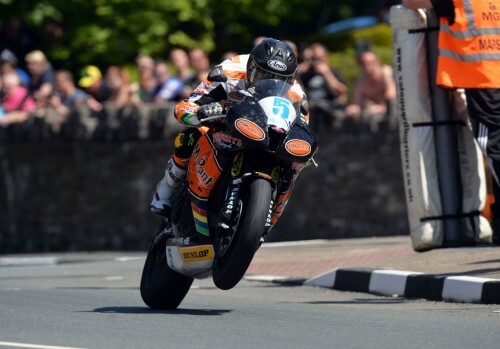 Anstey increased his lead to 4.5 seconds after the second lap before pulling into the pits to refuel. 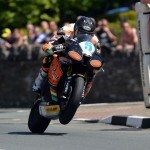 Anstey’s team worked quickly, and he returned to the course with a 9-second advantage over Dunlop. 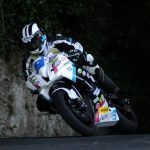 But Anstey was not able to hold onto that advantage, with Dunlop trimming the lead back to 4.1 seconds after the third lap, setting himself up for one more tour of the Mountain Course. Dunlop picked up speed and took over the lead at the Ballaugh portion of the course, continuing on to set a new lap record of 17:35.659 with an average speed of 128.667 mph. 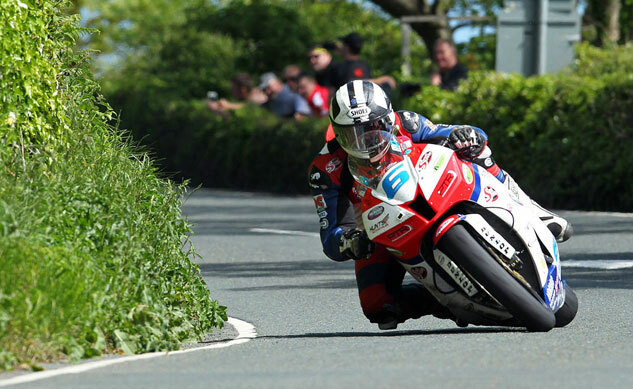 Dunlop’s total time of 1:11:52.091 was a full 28 seconds faster than the previous Supersport race record. 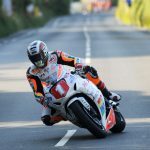 Anstey finished second, with his time two seconds slower than Dunlop while McGuinness beat William Dunlop’s time by a second to finish third.